Some Natural Remedies To Help Lupus. People with this condition need to be treated by a doctor or an alternative medical therapist. The suggestions given here could be discussed with your health professional. Lupus is a condition which affects the immune system. Many people have a genetic weakness which predisposes them to getting the disease, but there is usually an outside trigger of an environmental or emotional nature which causes the immune system to become weakened dramatically, which, in turn, leads to the onset of the disease. With lupus, the immune system literally goes hay-wire: instead of doing its job of attacking outside invaders, the immune system begins to also attack the cells within the body. It is similar to cancer in this way. One in every 2,000 women in the USA are thought to have lupus, either the more common systemic lupus erythematosus, or discoid lupus erythematosus, which causes skin problems. The most common conventional treatment is with corticosteroid drugs. Prednisone, an anti-inflammatory drug, is commonly prescribed for lupus. Unfortunately, this drug has side effects: bone loss with eventual osteoporosis are just two conditions which are likely to occur with continued use of prednisone. Aspirin, another anti-inflammatory drug, is sometimes successful in treating people who have only mild symptoms of the disease. This is less harmful than corticosteroid drugs in some respects, however, its blood-thinning capacity can cause problems too. Internal haemorrhage and weakening of the arteries can result from taking aspirin over a long duration. The taking of anti-inflammatory drugs can cause vitamin and mineral imbalances. Over time this can affect cholesterol levels, cause heart irregularities, which includes stroke and heart attack, give rise to hormonal imbalances,and cause stomach,liver and kidney problems. However, Vitamin and mineral treatment, and a diet which eliminates problematic foods, has been shown to be effective in preventing a worsening of the disease, and in many cases, in restoring the body to a healthy condition again. Nutritive therapy has been shown to be helpful, both for people who opt for a holistic, natural approach, as well asfor those who decide on an orthodox treatment for a lupus condition. The essential aspects of treating lupus are through nutritional, environmental, and emotional means. Some health practitionersinclude dairy products in the lupus diet. If you take dairy milk, it might be best to source out raw milk. Goat’s milk is even better than cow’s milk. Unpasteurized, raw milk is often best for people with digestive difficulties of any kind. Switching to raw milk often cures so-called asthma attacks, as it has with my own grandson. Avoid all foods with additives such as chemical preservatives, colorings and flavorings. It is also important that no dodgy cosmetics, face creams,hair dyes,nail polish etc, are used on the body. Avoid Radiation and Electromagnetic Devices. Choose a home and work environment which do not expose you to excess amounts of radiation such as that which is emitted from high tension power lines, electricity transformers, and cell phone towers. Cell phone use should also be minimised. Better not to use one at all, but if you do – do not sleep with it in the bedroom. Same goes for your computer: Put that in another room, well away from your sleeping area. Do not spend long periods at a time on the computer. Earth Yourself: Make sure you walk barefoot on grass at some time during the day. The damp dewey grass of the morning is best for earthing your body and drawing out excess magnetic energy. If you do spend much time working in electrically-charged environments, such as on a computer, or in a high-wired office, then you need to do the barefoot thing – walking on grass – more often during the day. Lying on the fresh grass in a nice park is also very good for the body’s function and the soul. Excess magnetic energy and radiation is absorbed by the grass, and this benefits the health, both physically, emotionally, and mentally. Get enough sleep Keep the mind and body free of stress and anxiety; Maintain a positive attitude. Practice Yoga on a daily basis for deep relaxation. See my posts on how to do Yoga Nidra in the Satyananda Yoga tradition. Not spooky at all – just an age-old relaxation technique which has been used for 1000’s of years in Indian yoga practices. Most modern techniques for relaxation are based on the old yogic methods. Fish, and fish oil, is helpful in treating auto-immune diseases such as lupus, rheumatoid arthritis,Raynaud’s disease, psoriasis, and scleroderma. Oily fish, and fish oil supplements, have been shown to be highly effective in reducing lupus-related inflammation within the body. Fish oil was found to benefit some people who were also taking aspirin supplements to suppress lupus-related inflammation. However, it might be worth a try to do without the aspirin whilst you pull out hammer and tongs to strengthen the immune system naturally with a nutritive diet rich in fish. Eating some oily fish like mackerel, tuna, salmon, and sardines every day is recommended for people with lupus. The anti-oxidants Vitamins C, E, and Selenium are important for lupus sufferers.Talk to your medical adviser about these supplements. Vitamins C and E, whilst helping the body to rid itself of toxins, are helpful in reducing inflammation. These two vitamins also help prevent heart disease, which is an important consideration for the lupus sufferer. At least 1,000 mg daily of calcium ascorbate, or Ester C, are recommended.Up to 4,000 mg of Vitamin C can be taken in divided doses throughout the day. 1000 mg daily is a reasonable, moderately high dose for most people. I find that 3000 -4000mg per day, divided into doses of 1000 mg, is a good amount for treating chronic conditions and degenerative disease of any kind. If you wish, you could divide your doses up into several of 500 mg. Vitamin C is not retained in the body, so it is a safe one to take in larger amounts. colored fruit or vegetable, supplies you with Vitamin A. A daily glass of carrot juice, obtained from organically grown carrots, will provide you with ample Vitamin A. NOTE: Do not take ANY Vitamin E if you are taking blood thinning drugs such as aspirin, or any other anti-coagulant. It is dangerous to combine Vitamin E with anti-coagulants. Up to 1,000 international units of Vitamin E can be taken daily if you are not on any medications already, however, 600 international units daily is a more reasonable, moderate dose. Ask your doctor or naturopath if you should increase your Vitamin E intake. assimilation of calcium, which is an important consideration for the maintenance of bone density. Egg yolks, milk,butter and fatty fish such as salmon, are the best sources of Vitamin D.
Lupus sufferers need to keep high levels of calcium and Vitamin D in their diets in order to prevent bone loss. 1,000 mg of Calcium is recommended for lupus sufferers. This can easily be gained from stirring a half teaspoon of dolomite powder into your carrot juice, or adding it to some other nutritious drink, or sprinkling it over your cooked vegetables. 15 milligrams daily is recommended. Much of this can be gotten from onions and garlic. A zinc tonic can be made by stewing the outer skins of two onions in two cups of water for an hour. Take off the stove and leave overnight before straining off the liquid and putting it in the fridge. Take two teaspoonsful before food once or twice a day. Up to 50 micrograms of selenium, taken daily, is considered therapeutic for the lupus sufferer. If you think you might consider taking a selenium supplement, then ask your naturopath or doctor for advice. Selenium is great for putting oxygen into the blood, and it is vital for our health. However, since we need such minute amounts of it, one can easily over-do selenium. Coenzymes: These are very beneficial for anyone with weak digestion. They help the pancreas and the liver, which are often deficient in important functions, and so they help you to digest your food better. People suffering degenerative diseases of any kind may find Coenzymes very good. Walter Last recommended these for cancer sufferers, and for all other people who had degenerative conditions such as Lupus, Cystic Fibrosis, Multiple Sclerosis and Rheumatoid Arthritis. Bromelain, derived from pineapple, may also be helpful as an aid to digestion. Apples: Raw, grated apple is a help to good digestion. Eat your grated raw apple, skin and all, 20 minutes before your meals. This helps the intestines by providing bulk and provides extra nutrients, such as Vitamin C and phytochemicals, which help fight cancer cells, and which aid digestion. The mucilage in apples is very soothing to the stomach and bowel. Some people have been completely cured of Lupus with the help of certain homeopathic remedies. I will put up a post within the next few days on some of the treatments. As with any degenerative disease, results from natural therapies are better if the bowel is washed out with water occasionally. Since Lupus sufferers have inadequate digestion, they usually have more toxins and mucous floating about in the intestines than people with healthy digestive systems. So – if your condition is severe, then a daily enema might be a good thing. Ginger Rogers, icon of the silver screen who famously partnered Fred Astaire, wizard of dance, was once asked how she managed to keep he’r good looks for so long. She dryly announced that it was ‘due to a daily enema’, and left it at that. You can go to a colonic irrigation clinic to get it done professionally, or you can buy an enema kit and do the cleansing process yourself. With a simple water enema, use warm water – around one pint and a bit for a start. Add half a teaspoon of sea salt to the water. Always lie down to wash out the bowel – if you stand up, then the water will not travel up and around the bowel. Hold the water in for a few minutes, if comfortable. Then release. Walter Last recommends repeating the process until the expelled water is clean. But even one douche of water will be helpful in removing toxic residues from the walls of the bowel. This method would do wonders for Lupus sufferers, if they were to follow Gerson’s castor oil and enema method religiously. Gerson always maintained that his castor oil, enema, raw food treatment worked for many cases of terminal cancer, it would work for any degenerative disease. The basis of his method was raw food and juices, with more cooked vegetables being introduced gradually, as health improved. One large bowl of porridge, eaten each morning with one grated apple, was the only cooked food to be used for the first few months. 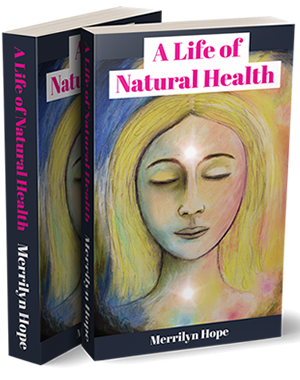 See Merrilyn’s posts on healing with Dr Gerson’s cancer method.